Imtiaz Ali, is a well-known multi talented Indian Film Director, Actor, Producer and Writer who was born on 16th June, 1971. He was born and brought up in Jamshedpur. He finished his primary education from ‘St. Michaels High School’, Patna and secondary and higher education from ‘D.B.M.S English School’, Jamshedpur. Later he got into ‘Hindu College, University of Delhi’ and was the member of the theater group of the college. He has also done a diploma course from the ‘Xavier Institute of Communication’, Mumbai. Imtiaz Ali started his career as a writer and director of T.V shows like ‘Imtehaan’which aired on Star Plus and ‘ Naina’ and ‘ Kurukshetra’ for Zee TV. In 2004, he acted in the film ‘ Black Friday’ and played the role of ‘Yakub Memon’. After that, he got into the direction of Bollywood films. Imtiaz made his directorial debut in 2005, with his film “ Socha Na Tha” which had actors like Abhay Deol and Ayesha Takia as the leads. Though the film didn’t do well at the box office, it was appreciated by critics and Imtiaz was called a ‘Future Star Director’. His next directorial venture was the super hit movie “Jab we met” starring Kareena Kapoor Khan and Shahid Kapoor. The movie was a huge success both commercially and critically and has gained a cult status among Bollywood fans. Next, he directed “ Love Aaj Kal” in 2009 starring Saif Ali Khan and Deepika Padukone. This movie was also a huge hit and his work was again appreciated. Then in 2011, he directed “ Rockstar” starring actor ‘ Ranbir Kapoor’. This movie is one of the biggest hits in both Imtiaz’s and Ranbir’s career. The movie grossed more than 100 crores at the box office. The music of the film was also phenomenal and was composed by the two-time ‘ Oscar’ winning Musician A.R. Rehman. After the success of his films, he started a production house named ‘Window Seat Films’. 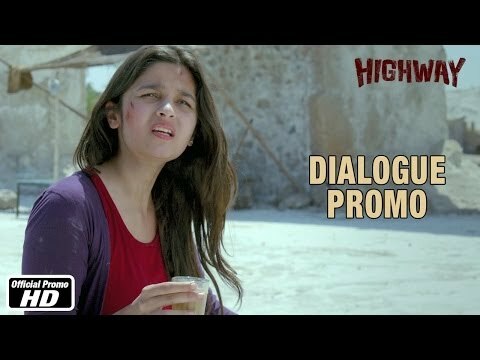 He directed and produced the film “ Highway” having Alia Bhatt and Randeep Hooda as the leads, this movie was once again the biggest hit of 2014 and is known for brilliant acting display by Alia Bhatt. 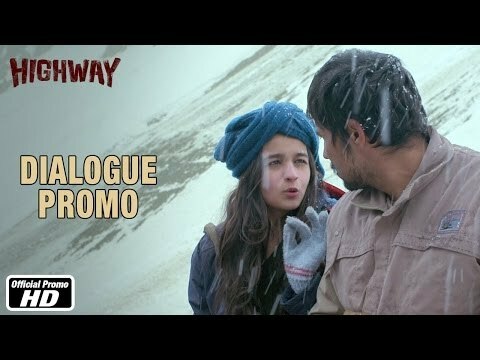 This happens to be the first movie of Imtiaz Ali as a producer. Recently, he directed a film “ Tamasha” which has stars like Ranbir Kapoor and Deepika Padukone which got released in 2015. Imtiaz is not only directing but also producing the film. Imtiaz Ali was an actor turned director and is also well known as a writer for various films such as Cocktail and Tamasha. He started out as a director for television shows and went on to become a director for movies. Imtiaz Ali was born on 16 June 1971 in Darbhanga, Bihar and grew up in Patna. His father, Mansoor Ali did irrigation jobs and would sometimes take Imtiaz to give an outline of what was going on around India. He studied in St. Michael’s High School in Patna and was later shifted to D.B.M.S English School, Jamshedpur. He stated that his father encouraged him throughout his life especially during his earlier years when he failed in school. He grew up near theatres, which was the main reason for his diversion from studies. After that incident of his failure, he worked hard and excelled in studies, sports and finally started out in the theatre. Later on, he attended Hindu College, an affiliated college of the University of Delhi. He continued to be a part of the theatre and was very successful at it during college. After that, he finished his diploma from the Xavier Institute of Communication in Mumbai. He got married to Preety Ali and had a daughter named Ida Ali. The couple got divorced in 2012. Imtiaz started out as a director for television series such as Kurukshetra and Imtehaan and later on, moved to Bollywood films. The first film he directed was Socha Na Tha in 2005, which was a light romantic movie and was not so success at the Box-Office but he got credits as a director for his debut. However, his first box office hit was with Jab We Met starring Shahid Kapoor and Kareena Kapoor which was a romantic-comedy drama. The movie got a Filmfare award for Best Dialogue and a nomination for Filmfare Award Best Director. Eventually, he came out to direct Love Aaj Kal and Rockstar, both the movies were nominated for Filmfare Award For Best Director and Best Story. Imtiaz started out his film production company, “Window Seat Films” which produced its first film Highway, a fairly good box office hit, which featured Alia Bhatt and Randeep Hooda. His latest film Tamasha, starring Ranbir Kapoor and Deepika Padukone was the second film produced by his production company. Tamasha, however didn’t reach up to the expectations of the audience..
Ranbir To Pair Alia In His Next!